Advanced-purchased tickets provide priority admission and include access to all galleries and exhibits + FREE audio guides and public docent tours. Maps and location. Ticket prices. Museum hours. Parking. Wheelchair accessibility details. Discover everything you need to know about getting here and getting the most from your visit. 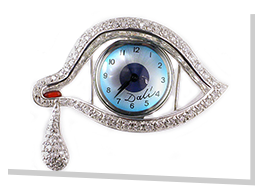 The Dali is proud to offer special pricing for children, students, seniors, military, police, fire and educators. Find these rates, plus hotel offers, field trips and large groups here. Bring your group of 10 or more to The Dali Museum and receive reduced rates. We also have fun field trips for your summer camp group. Explore our magnificent facility in your own way and at your own pace. Discover our range of tour options: public, private, docent-led, kid-friendly and audio. Make The Dali the backdrop for your next big event. From weddings and private affairs to conferences, meetings and corporate summits, there’s no venue more memorable and inspiring. School tours are available during the school year and include complimentary or reduced admission fees and a docent-led tour. There’s so much to see in St. Pete. The Dali will introduce you to infinite creativity, lionized architecture, lush gardens and waterfront views. The city will gladly supply the rest. Cafe Gala is designed to create an educational as well as culinary experience by introducing visitors to Spanish food and history.